This week we are focusing on making candle stick holders. I decide to make holders for the long, thin kind of candle. Hannah measures the circumference of the different candles and adds 10% of the circumference to the total figure. Clay shrinks by around 10% and so this sum ensures that the candles will fit in the holders once they are glazed and fired. 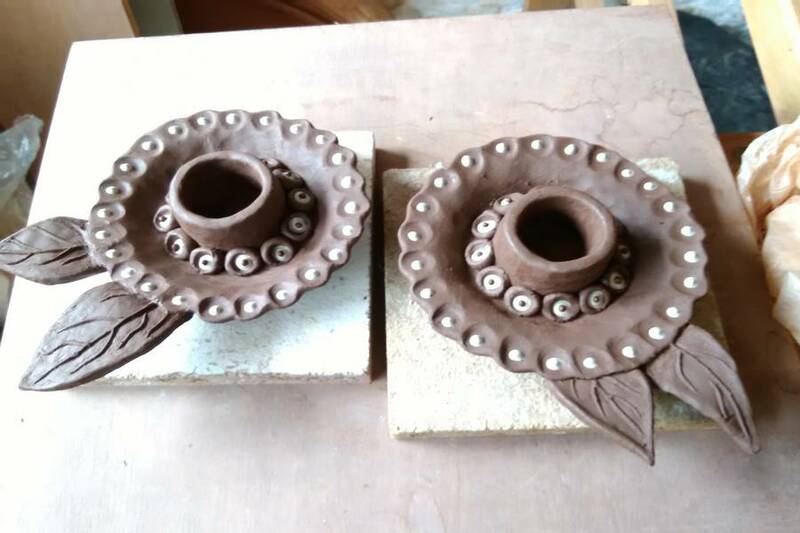 The following day I press clay into leaf moulds I have made and attach these onto the candle holders. I use a slip trailer to add black and white decoration.